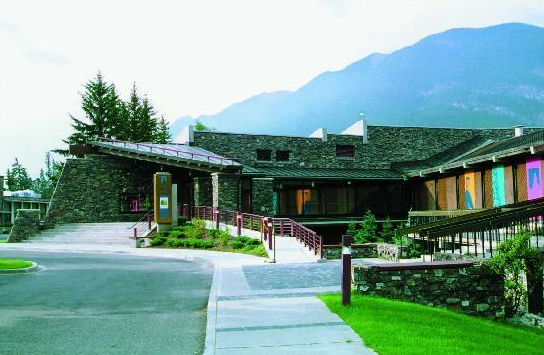 Yesterday I was in The Whyte Museum in Banff, Alberta dedicated to the art, culture and history of the Canadian Rockies. Along with some wonderful paintings was a large display with information about those who explored the Rockies and a panel breifly describing the contribution of Sidney Joseph Unwin, a trail guide, trapper and outfitter in the Canadian Rockies. Unwin, a veteran of the South African War, enlisted in the Canadian Army joining the 22nd Battery (Howitzer), 6th Brigade Canadian Field Artillery, 2nd Division. What caught my eye was an extract from a letter he wrote after being wounded at Vimy Ridge. Aside from having my right arm blown off, being almost stone deafened by shell fire, and having my head full of shrapnel fragments, I’m fine and dandy. One of his diaries survived the war and was donated to the Whyte Museum. By the time he started this last diary in January of 1917 he recorded having fired 13028 rounds. Sidney Joseph Unwin died less than two months after sending that letter. Just a touch of sarcasm there? A brave soldier, nontheless.